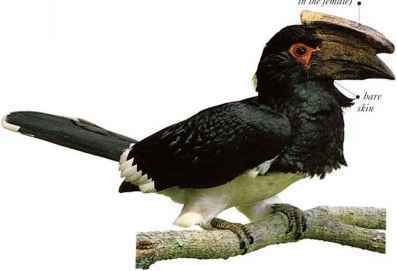 This is a small, slender hornbill with a narrow, downeurved bill. I Isually occurring in pairs or small parties, it gathers into flocks at an abundant food source. Red-billed l lornbills feed by hopping on the ground, searching the surface and probing holes for insects. They follow the paths of game animals in order to hunt for dung beetles. • NEST A hole in a tree, sparsely lined with plants. The female inside the nest, helped by the male outside, plasters the entrance with mud and droppings, leaving only a narrow slit. The male brings food which is passed through the slit, and droppings are squirted out. 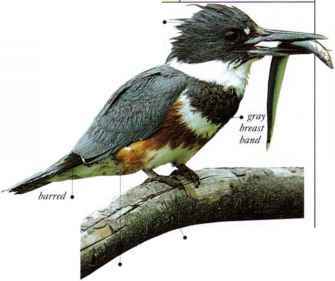 The female leaves when the young are half-grown, and they reseal the nest until ready to leave. • DISTRIBUTION From the S. Sahara through E. Africa to South Africa.